We’re into the homestretch, and asking for donations to contribute to a legal fund for the Ancaster Well. The DONATE button is fixed on the http://saveourspring.ca website and in the link below, you might be asking why are we asking you to donate? The PAWS group is proud to continue to fight for free access to the Ancaster well as intended in the deed of transfer. Why does the Ancaster Well need a legal fund? There are many reasons to continue to support free access to the Ancaster Well, and many people in the area are interested in reaching accurate, fair and legal conclusions to the questions that have been posed to the Hamilton Conservation Authority. Many people have been working very hard to protect the well and the hard work of the SOS team of volunteers uncovered some important legal facts that need to be reviewed by a lawyer. The Ancaster Well is not connected to any user’s domestic or commercial plumbing system. a drinking water system […] that is not capable of supplying drinking water at a rate of more than 2.9 litres per second will only be considered to be a small drinking water system if the system serves a public facility. O. Reg. 319/08, s. 1 (2). The Ancaster Well does not serve a public facility. We believe an interpretation that would apply this legislation to the Ancaster Well is too broad. As a matter of statutory interpretation this legislation is intended to regulate humanly manufactured water distribution systems. The rationale is that if one engineers a water system one is responsible for safely maintaining it. The Ancaster Well water flows naturally from the ground under its own pressure in its natural unadulterated form. We believe it is not the aim of this legislation to regulate naturally flowing, untreated mineral water from deep source wells such as the Ancaster Well. 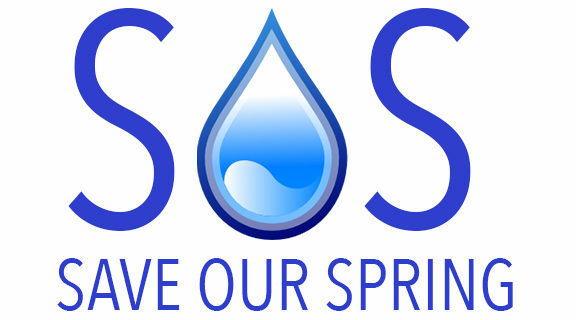 SOS urges councillors to come forward to redress this overstep as our elected representatives and protect this valuable natural water source. It has come to our attention that a number of Haudenosaunee families use the Ancaster Well. In the spirit of the recommendations of the Final Report of the Canadian Commission on Truth and Reconciliation, we respectfully request that the HCA initiate a consultation with the Haudenosaunee of Six Nations as is morally and legally appropriate before taking any decision or action affecting the continuation of the availability of this water source. SOS has reviewed the transfer documentation for the land where the Ancaster Well is located. The relevant language is below with a full abstract included as Schedule A. We urge you to consider the depth of connection and importance of this water source to your community. We firmly believe that with appropriate signage the way is clear to continue making this natural spring water available to those who choose to use it. In fact we believe the HCA is legally obliged to do so.